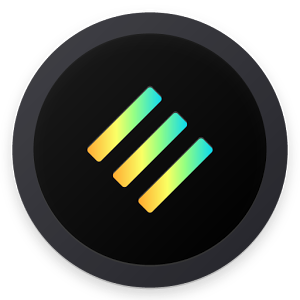 This is Samsung special edition Swift Dark & Black Substratum Theme. All in one package and more than 100 apps included. Select between regular or AOSP styled Samsung settings and SystemUI icons for your Samsung S8S8+! • Notifications will be white due to limitations in Samsung code! • Samsung devices different than the S8 should use the “Others” variant! • Always remove all overlays before performing a System update to avoid any critical issue! NEED HELP? A Substratum theme is a huge thing, and every device and setup work differently. Have a read of our FAQs, then please come to the Telegram group or email us – it’s the best way to help you! PLEASE do not report bugs in the review system. We will help each one of you if you ask in the Telegram group or email us. Reporting an issue in a review, and expecting us to fix it, won’t help. We need to be able to ask questions about ROM, app version etc. APP ISSUES? Reapply the theme for that app and reboot before reporting anything! BETA VERSIONS OF APPS, for example WhatsApp & Instagram beta, are NOT expected to work and NOT supported. Please do NOT report issues when using betas. Stable versions works just fine. • Important Google App update. Please note that a recent server side update from Google requires us to use all caps for the text. This is the only fix available, and the only other solution is to make the cards white.